A fortress that was built on a rock mountain like a palace in the sky. 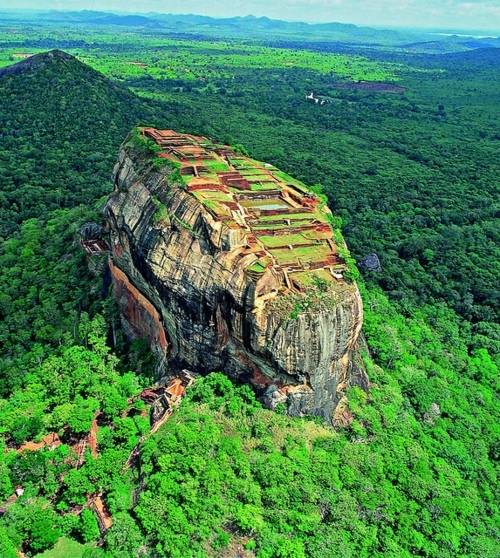 This incredible dream could be materialized here in Sri Lanka. The rock is called Sigiriya, which means Lion’s rock, is an ancient rock fortress and palace ruin situated in the central of Sri Lanka, overlooking the luscious green jungle surroundings.